Sunny San Diego weather calls for lunch with a view, but on this day the fiance and I were also craving fish tacos, so we found the happy medium at the Fish Market Restaurant that sits right on the bay. After satisfying our craving (and having a couple cocktails hee hee) we walked around the area that holds a lot of tourist attractions like the USS Midway Museum, the Sweet Surrender statue and Seaport Village, to name a few- a great area of recommendation if any of you visit San Diego! Lately I have been reaching for my Tory Burch flats for both comfort and look, which leaves me getting creative on changing the rest of the outfit. 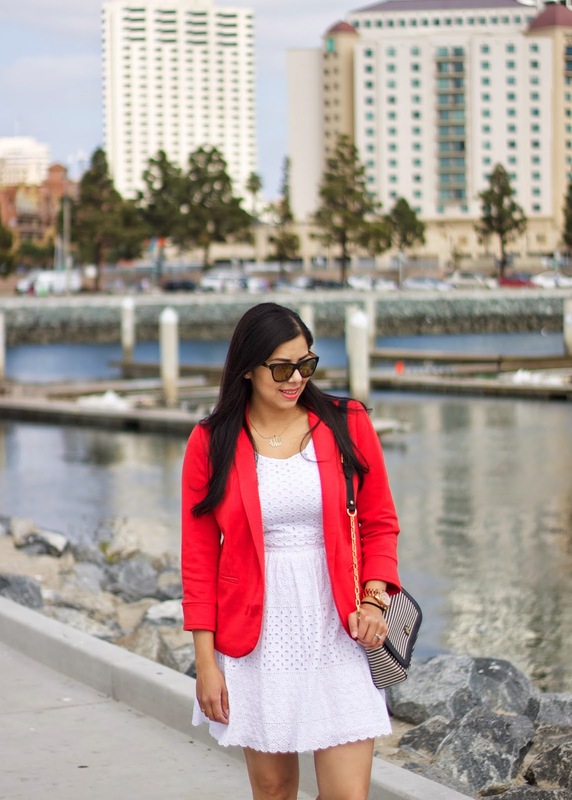 I was excited that the weather allowed me to bring out one of my Spring/Summer faves- this little white eyelet dress! So pretty!! 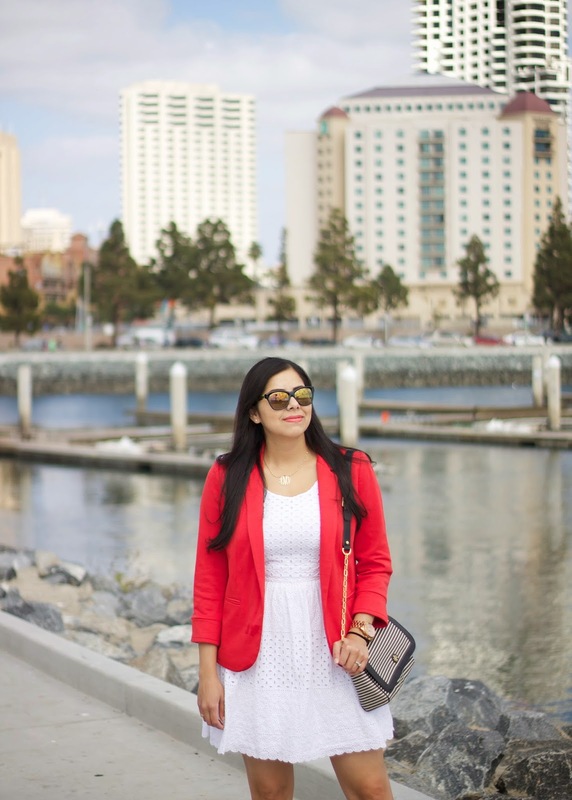 Love that dress and love it paired with a colorful jacket! You look pretty and I love the nautical feel of your outfit. Gorgeous bag!! You look great! Espero te guste, el tuyo esta padrísimo!! so romantic and simple! I love it!! Also, your bag is divine!! 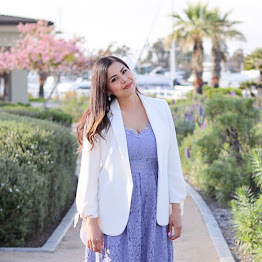 Your eyelet dress is gorgeous! 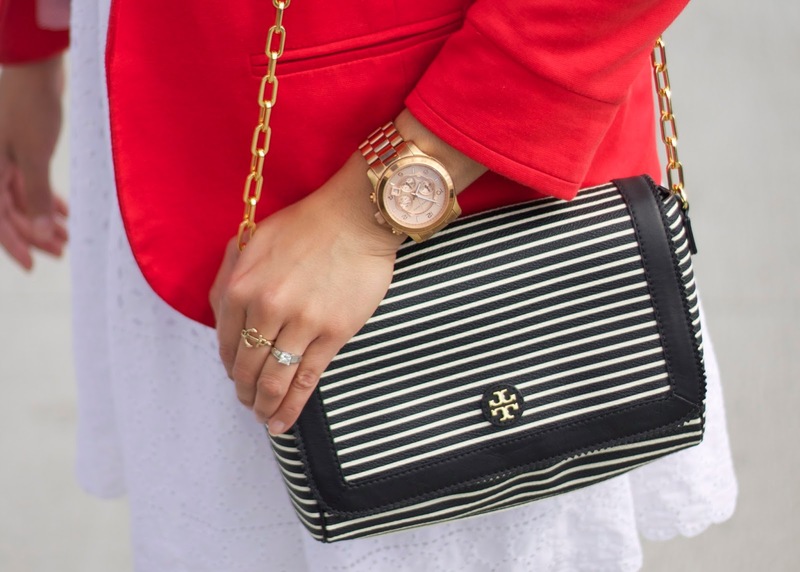 Love the blazer and purse with it!